For my birthday lunch, I caught up with a few friends at a small restaurant that I'd been meaning to try for the better part of four months. The Fo Guang Yuan Art Gallery is run by the Fo Guang Shan Buddhist Order and consequently, only serves vegetarian fare. 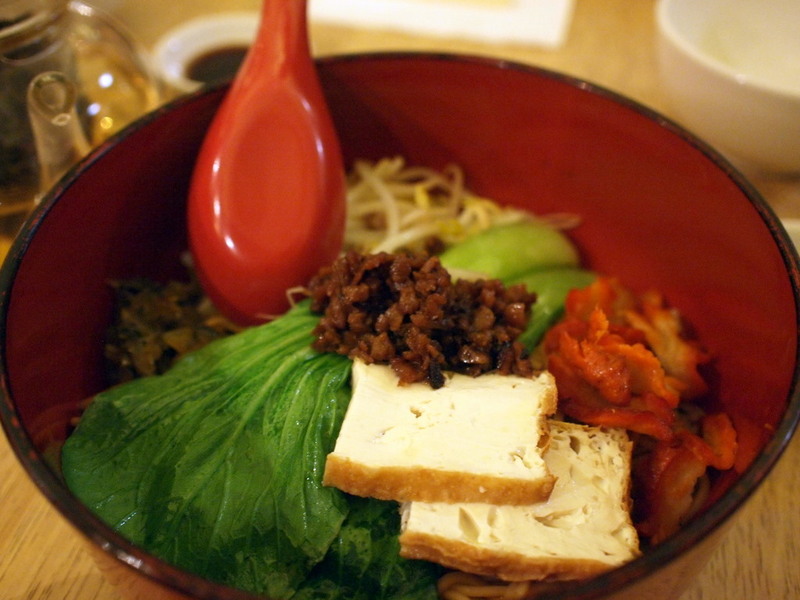 Who knew that vegetarian food could be so tasty, and that mock-meat could actually taste like real meat!. I'm not sure how they manage it, but I suppose a hundred years worth of experimenting would get results. In retrospect, the slow and tranquil nature of both the surrounds and the makes it a venue you'd probably want to avoid in your lunch hour. Luckily I could get away with taking a little extra time on my special day! As has somewhat become a custom when dining out at Chinese restaurants, we ordered tea first up. One of my friends had never tried Oolong tea, so that was the obvious choice. 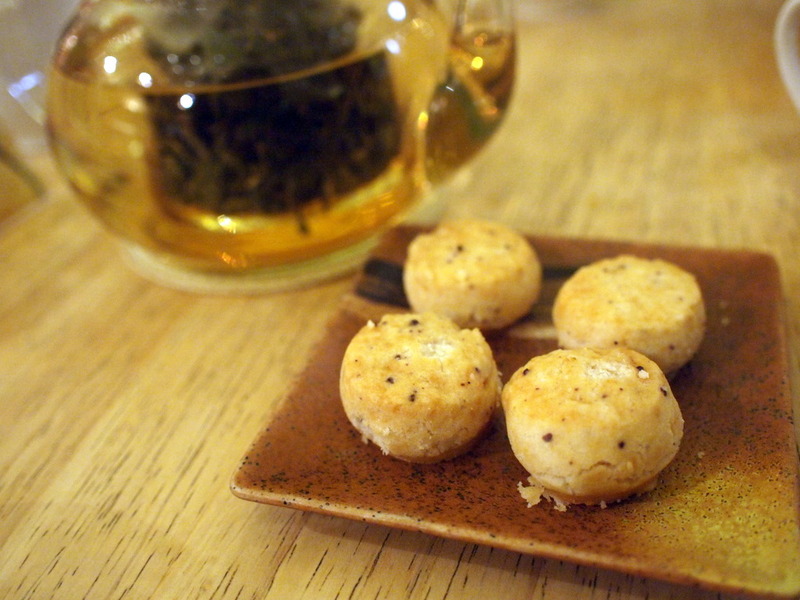 To our delight, it also came with delicious taro cakes! I'm certainly not one to complain about dessert before lunch. Seeing as we wanted to try multiple dishes, we decided to split our order, with the foresight to only order dishes that could easily be split between four people. 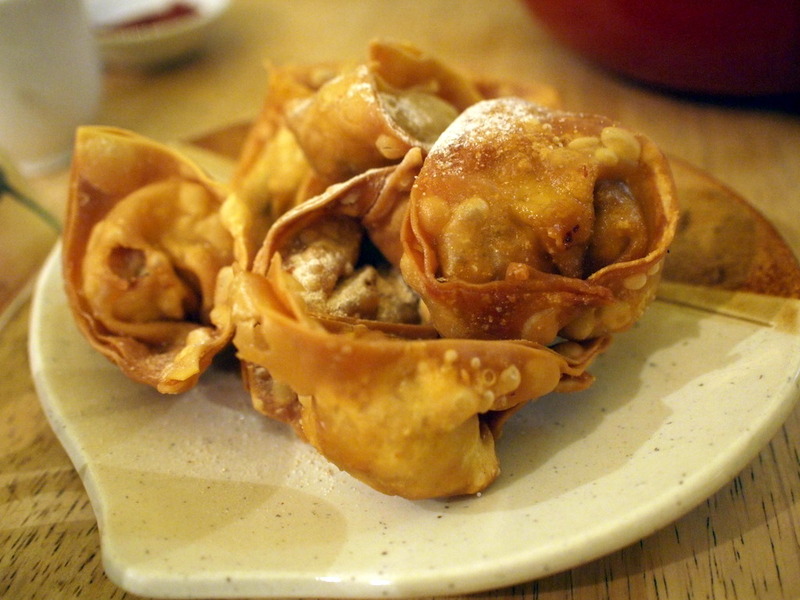 For appetisers, we ordered fried wonton. They were crispy, without being oily, and filled with mushroom goodness. I usually shy away from wonton having more a preference for simple dumplings, but surprisingly the limited menu didn't have them. Maybe I should be ordering more wonton in the future if this is how good they are though. We also ordered steamed filled buns, but for some reason, I didn't end up with a photo of them, or at least, not one without my friend making 'Immagonnaeatyou' faces at it. Probably not appropriate for this blog, but hilarious all the same. Moving on though, we ordered a few dishes for substance. First up, noodles in soup. Nothing much to comment, other than the mock meat was delicious, and we were seriously contemplating ordering a second serve. 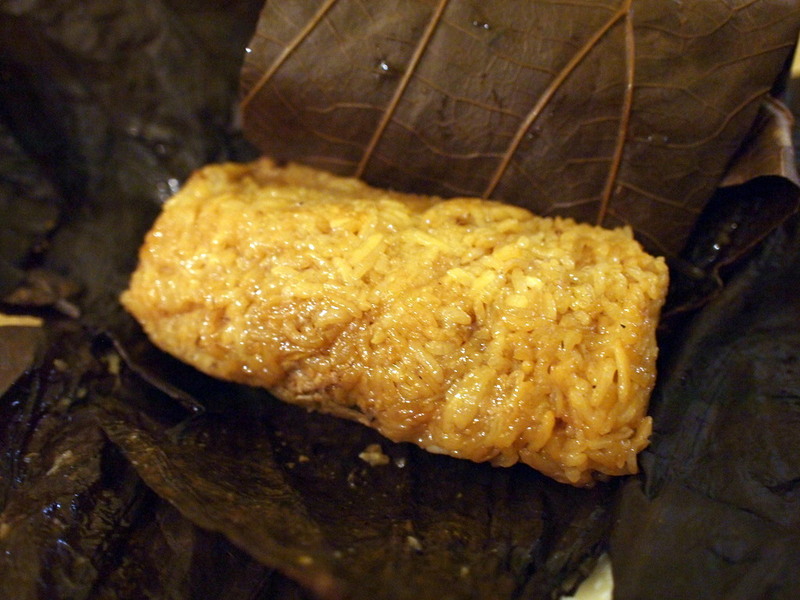 This was before the wrapped, glutinous rice dish (Zongzi 粽子) came out though. These things are filling! I love these, and have a craving for them about once a month (but don't particularly want to buy the ones from the Asian groceries). I'm too lazy to attempt them myself, but it might be a good idea to head home sometime and make a batch with my parents. I might be able to coerce my friends too considering this was the first time any of them had eaten one, and they all seemed quite taken with the dish. 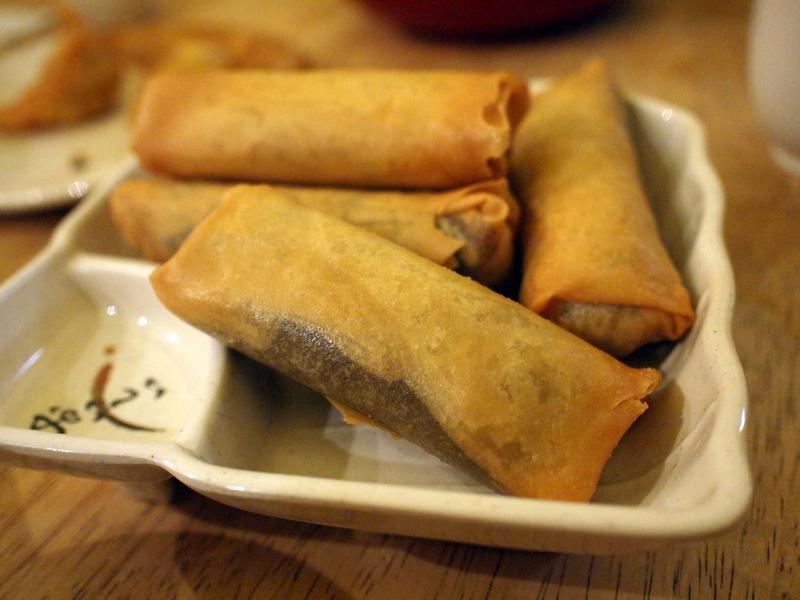 To finish off, there was a round of red bean spring rolls for dessert. Maybe we should have eaten these first. These rolls were about three times the size of the ones at Camy Shanghai Dumpling! I'd say they were also tastier, and not much more expensive. The end bill was also a nice surprise, coming in at only $15 per person. If I have more time to spare in future lunch breaks, I'd definitely come here again. 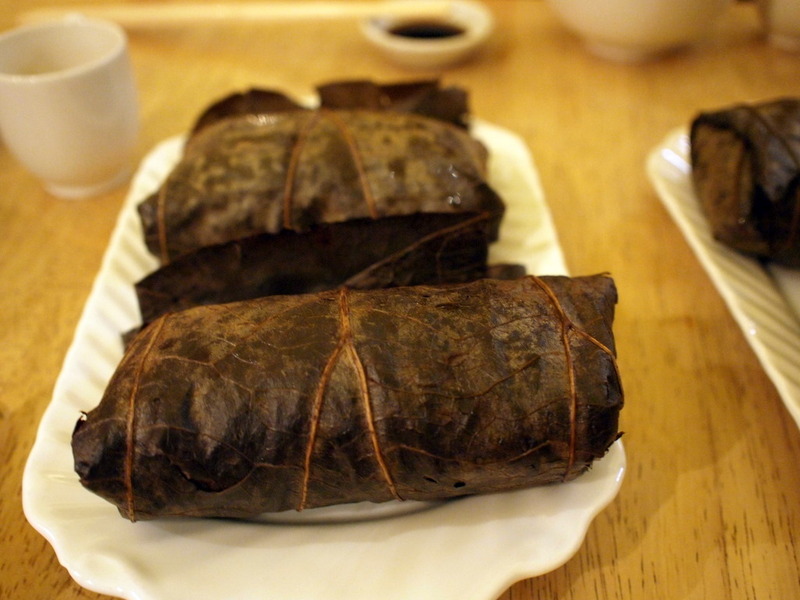 Or perhaps just pop in and pick up a serve of Zongzi/Red Bean Spring Rolls. I highly recommend this place, just not if you're in a rush. You won't even miss eating meat, promise! You should take a day off work, and celebrate freedom by eating. Or you could work from home (possible?) and spend it at restaurants/cafes in the city instead!